More on the Premier Mounts 84 inch Black Low Profile TV Floor Stand PSD-TS84B below. Call our Premier Mounts experts at 1-800-807-1477. Adapts to the required CTM-MS2, UFA, USA, RTM, GB-MS2, PFDM1/PFDM2 or PTDM1/PTDM2 mounts (sold separately). 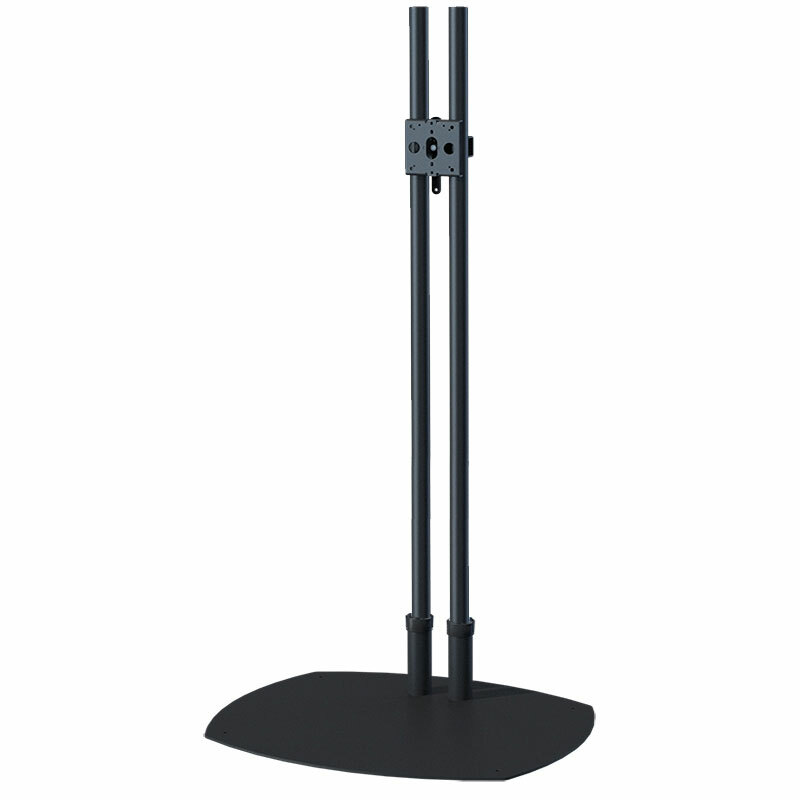 Each order includes a base, two poles and PSD-HDCA pole adapter. Two tubes to mount flat panel displays on their own centers-of-gravity. Low-profile base (.53") can easily slide under carpet for a seamless look. Can be used as a free-standing display or bolted to the floor for added security. Optional portrait or landscape orientation - dependent on mount used. *The poles can be cut in half for easier transportation to and from trade shows. If you select this option, you MUST also purchase the PSD-EXT collars that are required to reattach the poles. These collars are sold separately and can be found under "Related Products" below. 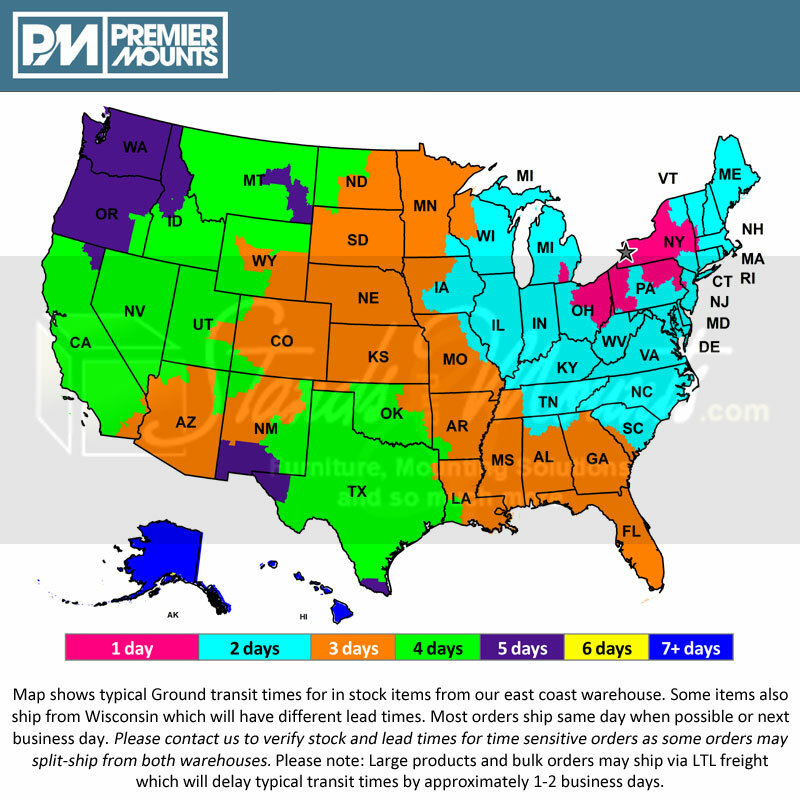 Choosing this option may also delay the ship date of the order by 3-5 business days depending on current stock levels.